Suppose one morning, your coffee maker breaks. There are two things you can do: repair it or replace it. Unfortunately, the “repair” option isn’t always easy. You can try to fix the machine yourself, or ask a handy family member for help. But if that doesn’t work, you might be out of options. These days, local repair shops are few and far between – and even if you can find one, the repair is likely to cost more than going down to the store and buying a new one. But if you’re lucky enough to live in a city with a Repair Café or other fix-it group, there’s another alternative. You can take your broken coffee maker there and have one of your neighbors fix it for you – free of charge. And while you’re there, maybe you can pay it forward by helping out another neighbor with your skills. For instance, you could replace a broken zipper in a jacket, or add more memory to their computer. With this kind of exchange, everyone benefits. People with broken items can fix them and save some money. People who do the repairs get the satisfaction of helping their neighbors. And everyone knows they’re helping the environment by keeping all those broken gadgets out of the landfill. Repair Cafés are the brainchild of Martine Postma, a former journalist in the Netherlands. She got the idea after noticing how often people throw things away because they don’t have a way of repairing them. “I think deep down everyone knows it’s not normal to throw an item away when it breaks,” Postma explains in an interview with the Christian Science Monitor. To fix the problem, she started the first Repair Café in Amsterdam in 2009. The idea was that people who knew how to repair things could offer their skills to help others, and in the process, help pass on their knowledge. The group thrived, and before long, the idea spread to cities throughout the world. Any group that uses the name “Repair Café” is part of Postma’s official Repair Café network. However, there are lots of similar repair groups that go by other names, such as “fixit clinic” or “fixers collective.” All these groups have the same goal: to match up people who like to do repairs with people who need them. Despite the name, a Repair Café isn’t a business that’s open every day. Instead, it’s a group of people who gather together on specific days during certain hours. They meet in libraries, churches, community centers, art museums, outdoor areas, and sometimes even in volunteers’ homes. Usually, volunteers bring their own tools, but some larger groups have their own tool collections funded by donations. You don’t need an appointment to visit a Repair Café. All you have to do is drop in on the day of the event and find a volunteer who can help you. Sometimes, fixers group themselves into “stations” for different types of repairs – clothing, electronics, knife sharpening, and so on. In other cases, there’s a volunteer at the door whose job is to guide visitors to the fixer who has the right skills to help them. Once you’re matched with the right repair person, you sit down and either watch or help out as that person tries to fix your gadget. At many cafés, you can share some coffee or other donated refreshments while you work. There’s no guarantee that the fixers will be able to solve your problem, but they succeed more often than not. For example, Repair Café Palo Alto says its volunteers manage to fix about 70% of the items people bring in. The service at a Repair Café is always free of charge – no matter whether your item is fixed successfully or not. However, most cafés accept donations from visitors to help cover their costs. There’s usually a tip jar or a piggy bank on a table where satisfied “customers” can drop in a dollar or two. Each Repair Café has a different set of volunteers who know how to fix different things. Thus, there’s no way to know for sure whether your item can be fixed, but it’s usually worth a shot. Repair Cafés usually have a stock of small items needed to make repairs, such as wire, switches, or thread for sewing. However, sometimes a broken item needs a specific replacement part that the volunteers don’t have. If that happens, the fixers let you know where you can buy the part, and you can come back with it – either later that day or the next time the Repair Café is in session – to complete the repair. To get a broken item fixed at a Repair Café, you have to be able to haul it in and have it fixed on the spot. If you have an item that’s too big and heavy to move, such as a washing machine, you can’t simply make an appointment to have a fixer come to your house. However, you can go to the Repair Café, describe your problem, and see if anyone there can explain to you how to fix it. If you’re lucky, you might even find someone who’s willing to come over and take a look at it. Some people worry that Repair Cafés and other fix-it groups create competition for professional repair people. However, in most cases, this isn’t true. 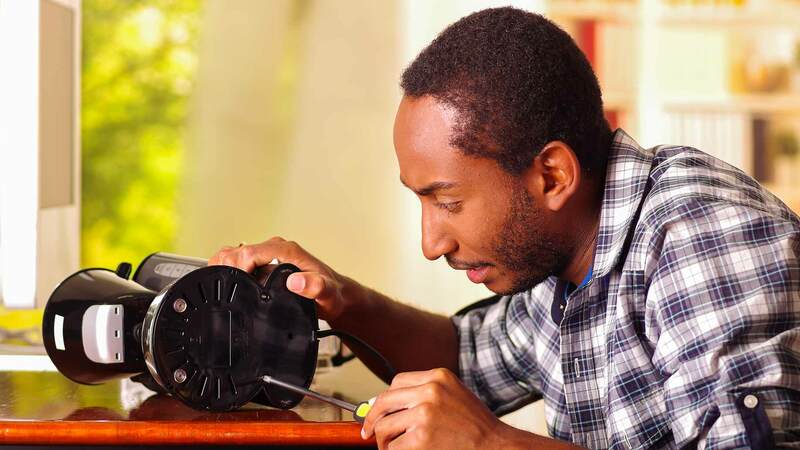 According to the Repair Café website, most people who take their items to a Repair Café say they wouldn’t take them to a professional repair shop – either because there isn’t one in their area, or because it costs too much. Getting their stuff fixed at the Repair Café is their only alternative to throwing it out. In fact, having Repair Cafés around is often a good thing for professional repair specialists. It gets people used to the idea that it actually is possible, in this day and age, to have things fixed. That means when they have something big to repair, such as a refrigerator or a heavy armchair, they’re more likely to think of having it repaired instead of automatically tossing it and buying a new one. Plus, when the volunteers at the Repair Café are unable to fix something, they often steer the visitor toward a professional who can. Save Money. Replacing broken items can be expensive. The Christian Science Monitor spoke with a woman at the Repair Café in Stow, Massachusetts, who had brought in a broken Keurig coffee maker. She calculated that buying a new one – even on sale and with a $20 coupon – would cost her $80. But instead, the fixers at the Repair Café were able to fix up her old one, and it didn’t cost her a cent. Preserve Memories. Old items often have sentimental value too. In a video on the Repair Café site, a volunteer at a Repair Café in the Netherlands talks to a woman who wanted help fixing an old flashlight that had belonged to her father. Though it looked like “a piece of junk,” it had value for her because it was tied to her memories of her father. Getting it working again was a way to keep a part of him in her life. Help the Environment. When you repair an old TV instead of replacing it, you help the environment in two ways. First, you keep the old TV out of the landfill. That’s good news because electronic items often contain heavy metals and other toxic chemicals, which can leach out into the ground and contaminate the water supply – or pollute the air if the waste is incinerated. Second, you don’t need to go out and buy a new TV. That means you save all the raw materials and energy that would be required to produce that new set, as well as all the carbon dioxide that would be emitted in the process. This makes repairing your old items a good way to reduce your carbon footprint. Get to Know Your Neighbors. Social scientists have been observing for decades that Americans know less about their neighbors than they used to. A 2015 report from City Observatory found that less than 20% of Americans spend time with their neighbors often, and nearly one in three never spend time with them at all. Repair Cafés can help change that. When you take a broken lamp to your local Repair Café, you work together, one on one, with a neighbor who wants to help you fix it. This helps rebuild the social ties that keep communities strong. Help Others. If you have some repair skills yourself, working at a Repair Café gives you a chance to put them to use. Instead of only working on your own bike or mending your own clothes, you can help out your neighbors and make their lives a little bit better. And by helping others, you also help yourself. Numerous studies in happiness economics show that people are happier when they use their time and money to help others. Share Knowledge. An important aspect of Repair Cafés is that you don’t just drop off your broken item and hope it gets fixed. Instead, you watch or, if you can, work side by side with the volunteer to fix it. In this way, useful repair skills that are in danger of dying out get passed on. The more people there are with basic repair skills, the more people there will be tackling their own repairs instead of throwing things away – and helping others do the same. Have Fun. In our throwaway society, many people don’t realize how much fun it can be to fix something for yourself. The process of tracking down a fault in an appliance is a bit like detective work, and there’s a thrill of satisfaction when you hit on the right solution. And it boosts your self-confidence to see your old, broken blender working again and know that you made it happen. Plus, for people who love to tinker, working at a Repair Café is a great excuse to take things apart for a good cause. According to the Repair Café site, there are more than 1,300 official Repair Cafés in countries all over the world, including more than 100 in the U.S. and Canada. In addition, there are other fix-it groups in many major cities that aren’t part of the official Repair Café network – some of which have been around even longer than the first Repair Café. Repair Cafés and Other Fix-It Groups Across the U.S.
New York City. New York doesn’t have an official Repair Café, but Repair Café Long Island meets at a church in nearby Wyandanch, New York, about an hour away by train. The city is also home to the Fixers Collective, formed in 2008, which meets at various locations throughout the five boroughs. Unlike official Repair Cafés, the Collective requests a $5 donation for each item fixed, but it won’t turn people away if they don’t have the money. Chicago. Repair Café Chicago meets on the second Saturday of every month at the Lincoln Square Friendship Center, a food pantry on West Lawrence Avenue. According to its Facebook page, its fixers can repair furniture, small appliances, housewares, clothes, crockery, toys, and more. The café also offers “repair coaches” who can help visitors learn basic repair skills. Los Angeles. The Westside Repair Café is a project run by a Los Angeles time bank. The group, which has about 80 volunteers, holds repair meetings every two or three months in Santa Monica. In neighboring Pasadena, Repair Café Pasadena meets every couple of months at varying locations. An LA Times article from 2015 describes how volunteers at this Repair Café offer their aid to fix clothing, jewelry, and computers, as well as providing other services, such as haircuts and garden design. Many fixers there belong to local time banks, which give them credit for their work. San Francisco. The Fixit Clinic in San Francisco isn’t part of the Repair Café network, but it works along the same lines. Since 2009, it has held meetings on a “pop up” basis at libraries and community centers throughout northern California. The goal is not only to repair broken items – though they often succeed in doing so – but to learn about how they work and why they break. The Fixit Clinic movement has also spread to other states, inspiring fix-it groups in cities from Austin to Boston. To find a Repair Café near you, the first place to check is the Repair Café website. There, you’ll find listings for every group in the worldwide Repair Café network. If there isn’t an official Repair Café in your city, try the Fixit Clinic page on Facebook. There, you can browse listings for upcoming Fixit Clinic events. 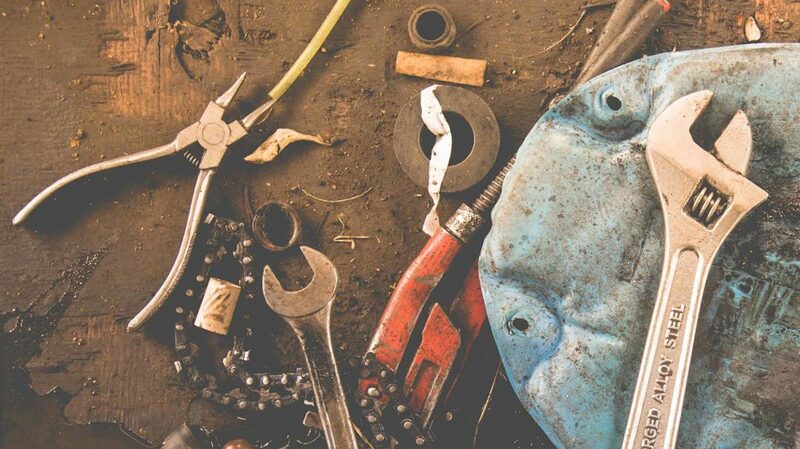 If neither of these sites turns up anything, try searching for your city’s name plus a phrase like “repair café,” “fixit clinic,” or “fixers collective.” Repair groups use a variety of different names, so try several variations. Sites known as “maker spaces” or “hacker spaces” sometimes host repair events as well. If you’ve searched every phrase you can think of and you still can’t find a Repair Café or other fix-it group in your area, you still have one more option: start your own. The Repair Café site offers a starter kit for 49 euros ($57.47) with step-by-step guidelines on how to recruit fixers, find a location, gather funds, and publicize your new Repair Café. The kit also gives you access to publicity materials, legal forms, and signs to use at your site. When you start a group using this kit, you get a listing on the Repair Café site and access to the Repair Café network for publicity. However, there are a few rules for starting an official Repair Café. First, you must promise to keep it free of charge and noncommercial. Second, you must use the name “Repair Café” and the official Repair Café logo, and always refer to the Repair Café website in your publicity materials. And third, you must agree to let the Repair Café Foundation pass along your e-mail address to other people in your area who are trying to start Repair Cafés of their own. There’s no charge for using these resources, or for using the name “Fixit Clinic” for your group. However, if you don’t like that name, you’re free to make up your own. One problem fix-it groups often run into is that some manufacturers go out of their way to make their products hard to repair. Naturally, it’s much more profitable for them if consumers simply throw out the product as soon as it breaks and buy a new one. This is particularly true for anything with built-in software – smartphones, laptops, and even high-end coffee makers. Fortunately, many countries and U.S. states are pushing back. According to the Repair Association, 12 states are now considering “right-to-repair laws,” which will force manufacturers to give consumers access to the tools and instructions they need to fix their gadgets when they break. Supporting a right-to-repair law in your state will make it easier for Repair Cafés and fix-it groups to keep old devices working – and help consumers save money and live green at the same time. Have you ever visited a Repair Café or other fix-it group?